在海外TOOKOO也同样获得了非凡的赞誉,多次的东南亚和欧洲巡演,参加过澳大利亚ONE MOVEMENT,挪威ROCK MOT RUS,新加坡BAYBEATS,香港ROCK-IT,马来西亚LAUNDRY VOLUME等多个国际音乐节,并与多支大牌乐队演出. Formed in 2000 by twin brothers Xiaochuan and Xiaoquan Lee, today the band consists of four members led by Xiaoquan "Mickey" Lee (bass/vocal), Xiaochuan Lee (guitar/vocal),Kee Zhang (guitar) and Long (drums). Tookoo artfully blends elements of emo, indie, and rock sounds, resulting in rousing, brash and energetic songs with melodies you can't get out of your head and a lead vocal you won't soon forget. This cool, well-established rock band sings their original songs in Chinese and English and has released seven independent EPs since 2001. These EPs were re-released in 2008 through Scream Records as a compilation album titled 7 Years. 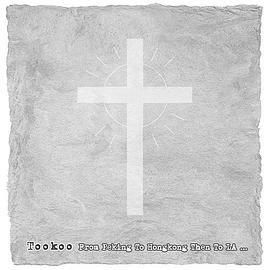 Tookoo have directly contributed to the development of rock music in China, performing to thousands of fans at hundreds of shows and music festivals across the country such as the Midi Music Festival 2002 to 2013, Modern Sky Music Festival and the MAX Festival, and at many rock venues that are now established across China. In addition to touring annually across China, Tookoo have started to build a following across North East and South East Asia. The band has performed at Rock-It 2006 (Hong Kong), Live Show Vol.5 (Hong Kong), BayBeats 2007 (Singapore), Laundry Volume Series (Malaysia), Sutasi (Singapore), One Movement Festival (Australia) and Rock Mot Rus (Norway) to name a few.